Will be launched next month in Japan. 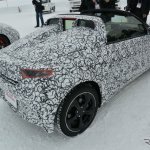 A few automotive journalists were invited for passenger rides in the production-spec Honda S660 at the Takasu Proving Ground in Japan on Feb 14, reports Response.jp. While the exterior was camouflaged, the basic yet driver-orientated interior of the kei convertible was revealed, with only the badges taped. 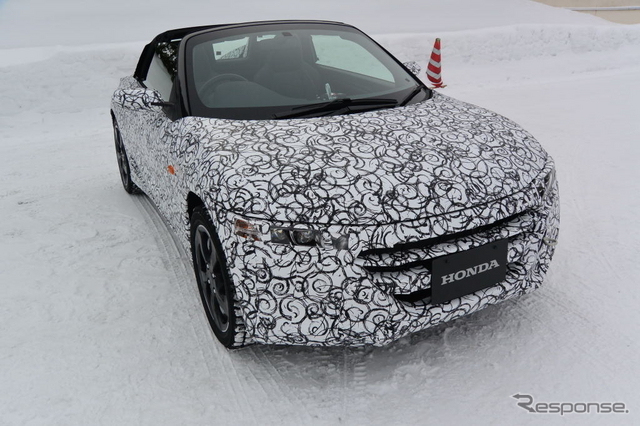 Honda will position the S660 as a fun to drive kei car. The 2-seater, rear-wheel drive Japanese Domestic Market vehicle was presented as a concept at the Tokyo Motor Show in 2013, while it recently made an appearance at the 2015 Tokyo Auto Salon, too. 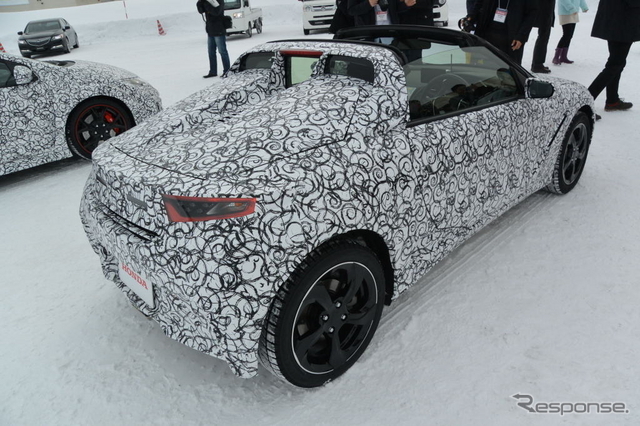 At the tape, the production-spec Honda S660 is 3,395 mm long, 1,475 mm wide, and 1,180 mm tall. 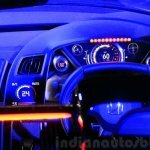 The interior components like the steering wheel are shared with the Jazz. The company has adopted a Targa-like cloth roof, which can be removed manually. In comparison to a hard top, it is lighter and thus gives the car a lower centre of gravity, mentioned Azumi Satoru, development manager of the S660. The rear-wheel drive car was first showcased in concept form in 2013, and the production car will be presented publicly in Japan next month. 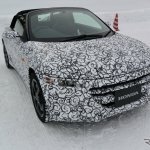 Powering the Honda S660 will be, in accordance to the Kei car legislation, a 660 cc 3-cylinder engine that makes 63 hp at 6,000 rpm and 104 Nm of torque at 2,600 rpm, revealed its leaked specifications. Transmission options are likely to be a 6-speed manual and a CVT automatic. 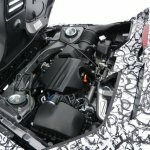 Just to keep Honda enthusiasts interested, the story mentions that the engine emitted sounds similar to that of blow off valve, indicating the presence of a bigger turbo. 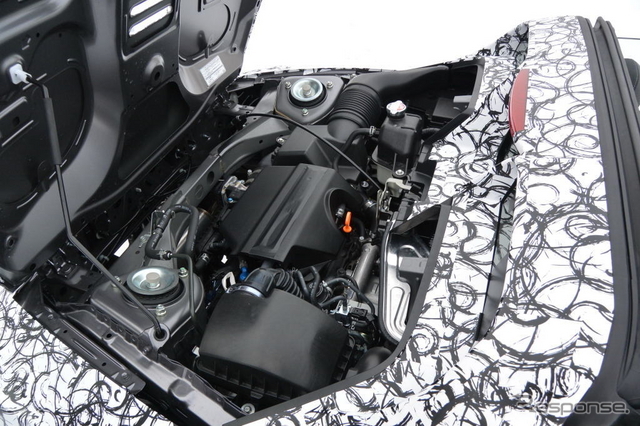 The S660 will be powered by a 660 cc petrol engine, but the company has been coy on the numbers. 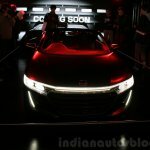 In a follow-up story, Response.jp quotes a Honda official saying that the average age of the development team of the S660 is in the 30's, congruent with the car's target audience age group.